Jacky was signed from Motherwell Juniors. He was a stalwart in the side for the next six years as United yo-yoed between the two Scottish Leagues. 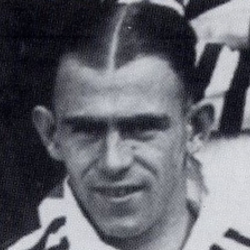 Jacky was top scorer in the promotion winning season of 1930-31. At the beginning of 1933-34, he was transfer listed and went on loan to Blackpool, Chester City and Crystal Palace. He returned for his last season, 1935-36, and was then released to join Brechin City. He holds the Dundee United record for appearances for a pre WW2 player.